In order to help maintain, develop and expand our horizons, the Chamber counts on both businesses and individuals to stimulate the economic growth of the community. The Chamber encourages business owners, individuals, and organizations to be a part of the ongoing success that Plattsburg is experiencing. Without your help, time and financial support, the Chamber would be limited in its resources, so to make continued growth within the community possible, the Chamber looks forward to your participation, as we pledge to continue our commitment to Plattsburg and its prosperity. The Chamber's fiscal year runs from June 30th to July 1st, although you can join the Chamber at any time. Fees will be pro-rated accordingly. New businesses are free for the first year. There are several levels of membership dues ranging in fees from $50 for individuals, all the way up to $500 for corporate levels of businesses. 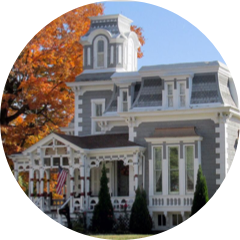 Becoming a Chamber Member is an annual investment in the Plattsburg Chamber of Commerce and the community of Plattsburg. The Chamber has experienced many positive goals and successes in the past years and looks forward to many more. The Chamber counts on both businesses and individuals to help maintain, develop and expand our horizons for the economic health of the community. Your support is greatly appreciated! Becoming a Chamber member helps put money back into the community. The funds the Chamber receives are redistributed through advertising and in the general support of various community events. The Chamber advertises not only statewide but in several surrounding states as well. The more interest the Chamber can generate about Plattsburg, the more people will be brought to the town, which helps promote tourism and in turn, helps the local businesses. We invite you to become a member of the Plattsburg Chamber of Commerce! Ability to customize your business information, summaries, pictures, sales, announcements etc. Schedule of all "Special Events" and notification of "Community Events"
to help Plattsburg prosper and grow.